College is the perfect time to move out of your comfort zone and meet different kinds of people. While some students dream of pursuing their passions abroad, many wish to Study in the United States. If you're thinking of applying to a College or University in the U.S, you need to know what it is like to be a student there. Depending on where you're from and what the conventions are in your home country, the experience of going to school in the U.S. can be life changing. American Colleges offer a number of different housing options for international students, it can be anywhere from a shared apartment to a dorm on the university campus. However, in order to make the most of your living experience, find a place either near or on campus to make your accommodation an experience in itself. Students often hear that studying in the U.S. can be expensive, but many don't know how much it would actually cost them to attend one of these schools. Tuition costs can vary depending on the type of school you attend. Moreover, students that go to universities in the U.S can make use of scholarships, loans or find financial assistance to fund their tuition costs. Your University will keep you updated on when orientation begins. Attending orientation week is important, because this will give you a chance to meet your tutors, class mates, get acclimated to the school setting and know your way around the campus. Orientation week will be full of social gatherings, this is the time to start getting to know your fellow classmates, and start making new friends for your exciting college years. Before you begin packing for the U.S, confirm your baggage allowance with the airline. Know what kind of climate to expect. Moreover, the clothes that you pack should depend on which part of the United States you will be residing in. If you are planning on studying in a foreign country, your passport needs to be updated. U.S like many other countries requires a student visa. 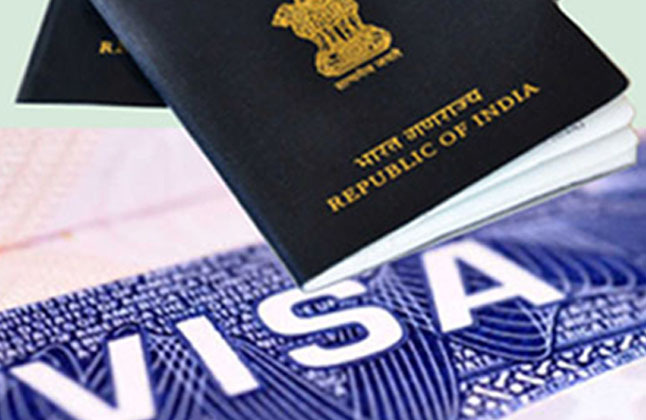 Be sure that you apply for your visa well in advance of your departure. Make sure you know exactly what you need, make photo copies of both your passport and visa. Before you leave to study in the U.S, visit your doctor and make sure you're in good health. Inform your doctor of the country you will be going to and see if he or she has specific recommendations. It is important that you are up to date with your vaccines. Ensure that you find out if any additional vaccines are recommended for your destination. Familiarize yourself with the kind of people you will meet as well as the local customs before traveling to the U.S. Remember to consider language barriers. Even though you might know the language of the country you are visiting, there could be misunderstandings. Internships are a great way to build your resume and will help you gain invaluable work experience that will prove useful when competing for a job after graduation. Whether you plan on looking for a job in the US, or return to your home country, having US work experience is the biggest advantage you can have after college. Ensure that you follow the rules of your host country. A minor incident can create trouble if not familiar with the local laws. Remember that while you are in a foreign country, you are subjected to its laws. What Edwise Students Studying in USA Says. "I had a great experience and guidance from the counselors especially Naveen gave me a great support in taking the right decision about the universities." "Edwise staffs are really helpful, motivating and supporting. They are the best people to visit if you need help for study abroad." "Edwise has helped me to make my goal to study abroad easier. I would like to thank specially to my counselor." "Edwise is the best overseas education consultant. It excels in all the services."